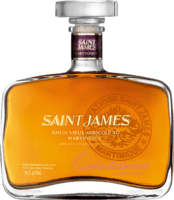 Have you found an online vendor selling Saint James Reserve Privee 7-Year? When people here the word agricole they often associate it with dry or even harsh rums, but that is a misconception and this brand of rum is a perfect example of the more rounded and balanced agricoles. Nose: Vanilla, pine and burned toast. Very earthy and juicy in the back. Taste: Cinnamon, orange and mint blends well with a small hint of funk in the aftertaste. Overall: If people want to get into agricoles this is one of the best ways to start. It is not overpowering on the "harsher" notes while still bringing the trademark taste of a true agricole. Leicht nach altem Apfel und Holz Geschmack. Nicht zu süss, eher strong... Beim Abgang feurig. Not bad for an agricole rum. Quite warming. Better at room temp than over ice. This quite young agricule rhum is has typical aroma which is fresh fruity with hints of wood. In the taste there is lot of wood than hints of mint and liquorice. Aftertaste is fresh and fruity with hints of citruses and sweetness in the end. For 7 years quite interresting agricole rhum worth trying. Ok, utan att sticka ut. Len med lätt sötma & krydda. In der Nase die typischen Agricole Düfte, weisse Früchte, vergorene Äpfel, Harz und Holz. im Gaumen herb und feurig, nicht lieblich süss und sanft sondern knallhart. Aromen von getoastetem Holz, verbranntem Harz, vergorene weisse Früchte mit leichten Karamell und Vanille Noten. Im Abgang leicht feurig aber nett mit Karamell und Holz. Rich amber in a glass. In the nose the typical agricultural scents, white fruits, fermented apples, resin and wood. On the palate tangy and fiery, not sweet and sweet but hard as brass. Aromas of toasted wood, burnt resin, fermented white fruits with light caramel and vanilla notes. In the finish slightly fiery but nice with caramel and wood. Agricole, kterej mi celkem sednul. Vune whisky a zmokla slama. Chut sucha, dub a trava. Gräs och kryddor i smaken, lite kort eftersmak. Krydd- och pepprigheten tar över. Grassy flavor, strong burn, slight acidity, only for agricole fans. If you like agricole, you get a lot of the good stuff in this bottle at a decent price. The rum sports a redish amber color and treats your nose with grass, crushed black grapes and vanilla. Not very complex but very nice in all it’s simplicity. In the mouth the crushed black grapes and grass is complimented by rounded wet wooden notes with a lovely hint of bitterness. A very approchable, decently balanced and nice agricole with spices and vanilla on the finish. 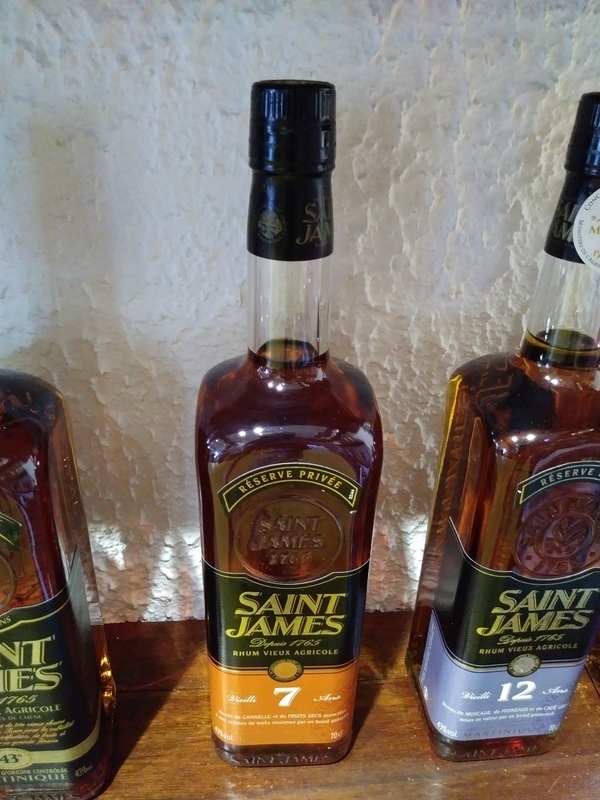 What I like about Saint James in general is that it seems to be slightly less dry than other brands from martinique. Got a bottle of Saint James Reserve Privee 7y from a local grocery store on my last night here at CDMX. Bottle and label design looks very nice and unique. Dark golden color. Strong alcohol from the sugarcane method and super dry notes to your nose and palate. Quite a strong burn at the end. Rhum de 7 ans d'âge, bouteille typique "St James" et présentation dans un coffret bois, titre : 43°. Goût : assez particulier en attaque, avec un goût de fruits mûrs, ensuite viennent des notes de boisé et de café. Finale : longue, goût de canne. Un rhum plaisant à la dégustation mais autant viser le 12 ans, qui est un cran au-dessus. Good rum, which smells very good, Sweet an woody and spicey in the nose and eyes! Taste is a bit spicey but a bit sweet taste on the tongue.